When you are searching for an efficient taxi service to provide you with a reliable airport transfer, then there is really no other logical choice than Connect Cabs. Based in Swindon, our friendly drivers offer a dependable airport transfer service that you can count on. Don’t risk being late for your flight, be sure to book your transfers with Connect Cabs and our drivers are sure to get you to the airport on time and in comfort. We always take note of the airport and flight times for your trip, and on the day we will check for any delays to accommodate our journey accordingly. If you are new in town, why not take advantage of our airport meet and greet services? Our friendly drivers will meet you in a pre-arranged location either inside or outside of the airport, depending on your preference. We will arrive with plenty of time to collect you and will even exchange phone numbers so that you can feel safe in the knowledge that we can always stay in touch to avoid delays. If you are in a group, or even if you just don’t like to travel light, we have the vehicle for you. If you have any special requirements for your party, then please don’t hesitate to ask and our team will be more than happy to tailor our services to suit you. 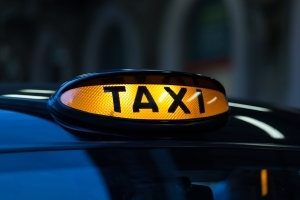 For the safe and comfortable taxi services that you can rely on, call us today on 01793 238 444 and one of our friendly team will be happy to help.